Substituents are the groups connected to the parent chain. The substituent may be any hydrocarbon molecule or element like Na, Cl, N, F etc. 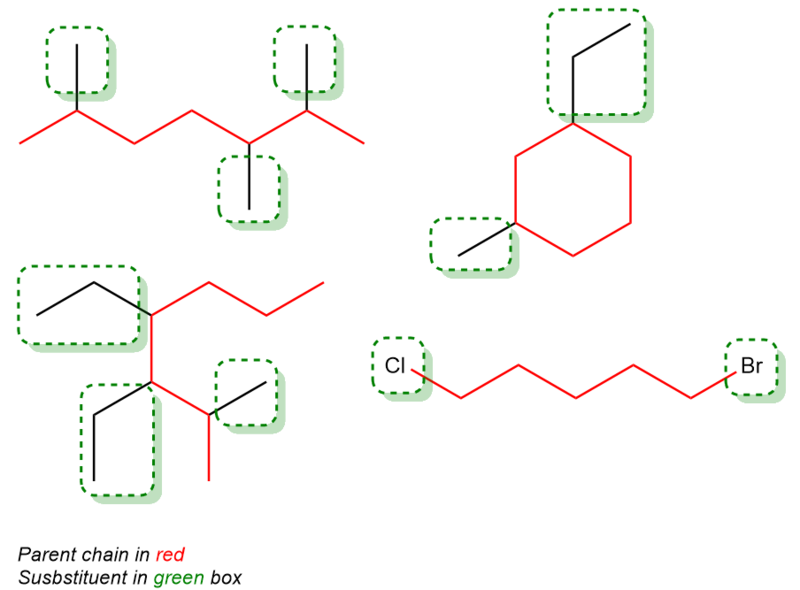 To identify the substituent it is critical that we identify the parent carbon chain first.